Ending world conflict is a difficult burden for any leader – but what qualities does it take to succeed? During the last eight years, it is doubtful whether our leadership has fostered peace, both within our nation and in the wider world. We can now elect a President of the United States who will be a transformational figure for peace. But what is peace? Is it just a logo on retro tie dyed t-shirts? A pie in the sky dream? Is peace on earth possible? Each year controversies swirl around the recipients. Attempts are made to discredit the prize and Laureates, but they remain respected and revered throughout the world. During the Bush administration’s reign, eight people have been awarded the Nobel Prize for Peace. A look at them offers us a chance to consider which candidates would further the cause of peace as the next President and Vice President of the United States: Barack Obama and Joe Biden, or John McCain and Sarah Palin. The prize was awarded to the United Nations and its Secretary-General for their work for a more peaceful and better organized world. 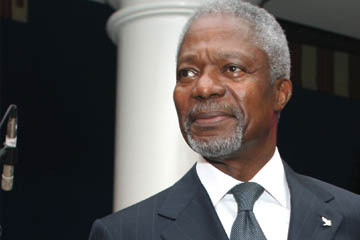 Annan was hailed for discouraging states from using the UN as a tool for their own ends, something the Bush Administration has been accused of. He took an active roll as a protector of human rights, addressed the HIV/AIDS pandemic, and urged that the UN play a leading part in the fight against international terrorism. Annan’s report on the UN’s role in the 21st century formed the basis for the UN’s Millennium Declaration, which calls for an end to poverty, better education, reducing HIV/AIDS, protecting the environment, and preventing war. In his Nobel Lecture given two months after the war began in Afghanistan, Kofi Annan made the bold move of beginning his speech by describing a mother caring for a newborn. He said that the real borders in this world are not between nations, but between powerful and powerless, rich and poor. As president, Jimmy Carter was a diplomat in every sense of the word. His mediation was a vital contribution to the Camp David Accords between Israel and Egypt, and he placed new emphasis on the place of human rights in international politics during the Cold War. 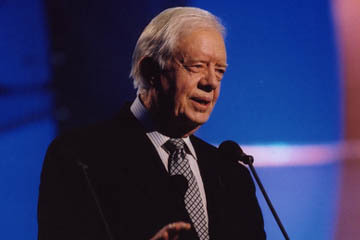 Through the Carter Center, Jimmy Carter undertook conflict resolution on several continents, showed an outstanding commitment to human rights, and served as an observer at countless elections all over the world. In his Nobel lecture, Jimmy Carter pointed out that great American power has been used with restraint and great benefit in the past. He warned against powerful countries adopting a policy of preventative war. Carter identified the most serious problem the world faced as the growing chasm between the rich and poor. Shirin Ebadi, lawyer, judge, lecturer, author and activist was recognized for her efforts for democracy and human rights, especially those of women and children. She stood up as a sound professional, who never heeded threats to her own safety. Shirin Ebadi was the first woman judge in Iran. After the 1979 Revolution, she was demoted to clerk in the very court where she had been a judge. She protested and was elevated to the status of “expert”. She then quit her law practice and wrote books and articles demanding rights for women and children in Iran. In 1992, Ebadi resumed her law practice and took up politically sensitive cases. She founded the Association for the Support of Children’s Rights and The Human Rights Defense Center. She taught human rights courses at university, and drafted the text of a law against the physical abuse of children that passed the Iranian Parliament in 2002. Ebadi was described by the Nobel Committee as both guide and bridge-builder, bringing people together across cultures, races and religions. 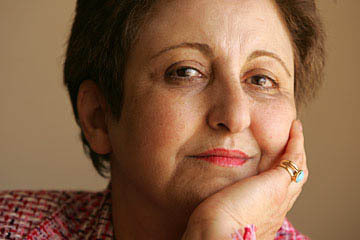 Shirin Ebadi’s view was that there need be no fundamental conflict between Islam and Christianity. She was honored for being an unshakable optimist who showed great courage. Wangari Maathai was awarded the Nobel Prize for her contribution to sustainable development, democracy and peace in Kenya and in Africa. The first woman in East and Central Africa to earn a doctorate degree, Wangari Maathai was recognized for promoting ecologically viable social, economic and cultural development. Deforestation and erosion were destroying areas where livestock grazed in Kenya and causing a shortage of wood needed for cooking. 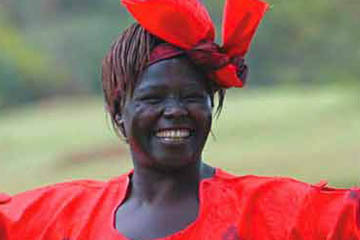 On June 5, World Environment Day, Wangari planted nine trees in her backyard and founded the Green Belt Movement. For nearly 30 years she mobilized poor women to plant 30 million trees, with the aim to restore Africa’s forests. Wangari Maathai was repeatedly sent to prison. She was attacked with tear gas and clubbed. She persisted in her approach, which the Nobel committee described as combining science, commitment, active politics and faith in God. The prize was awarded to the IAEA and Director General, Mohamed ElBaradei, for their efforts to prevent nuclear energy from being used for military purposes and to ensure that nuclear energy for peaceful purposes is used in the safest possible way. The IAEA was started in 1957 and was the vision of Dwight D. Eisenhower’s 1953 speech at the United Nations, “Atoms for Peace“. The IAEA insisted before the American invasion of Iraq in 2003 that there were no WMD, and they were correct. Recently, the Bush administration has disagreed with the IAEA on this same issue with regard to Iran, and actually attempted to oust El Baradei. 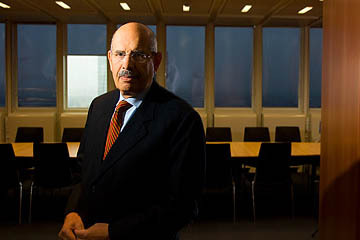 El Baradei was praised for standing out as an unafraid advocate of non-proliferation, and directing nuclear energy to uses in electricity production, healthcare (especially cancer treatment), agriculture, the environment and industry. “Imagine what would happen if the nations of the world spent as much on development as on building the machines of war. 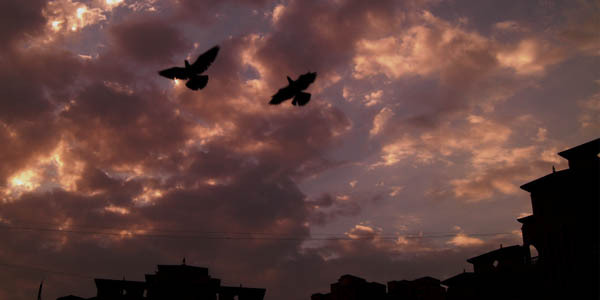 Imagine a world where every human being would live in freedom and dignity. Imagine a world in which we would shed the same tears when a child dies in Darfur or Vancouver. 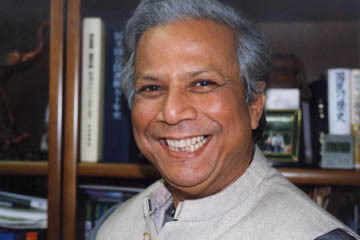 Muhammad Yunus and Grameen Bank were honored with the Peace Prize for their efforts to create economic and social development from below. In 1976, Muhammad Yunus took twenty seven dollars out of his own pocket and loaned it to 42 destitute basketweavers in a little village in Bangladesh. Out of this grew the Grameen Bank; self-financing, profitable, and spreading the wealth in thousands of villages in Bangladesh. Yunus’s vision was to eliminate poverty in the world. This banker to the poor operated on the principal that every single person on earth has the potential and the right to live a decent life. Both Nobel Committee and Laureate again cited poverty as the greatest challenge facing the world. The majority of people on earth are poor: half the world’s people live on less than two dollars a day, and one billion live on less than one dollar a day. The IPCC and Al Gore were honored for their efforts to build up and disseminate greater knowledge about man-made climate change, and to lay the foundations for action. The IPCC, the UN’s climate panel, is a global project that involves over 130 countries, 450 authors and 800 contributors, and 2,500 scientific experts. The Nobel Committee, who called the US and China the great polluters, felt that global warming was a threat to the security and existence of mankind on earth. The committee raised its voice with a quote from Archbishop Desmond Tutu charging that ignoring climate change was a sin. The Committee linked desertification in Africa with regional conflict, highlighting the heavy burden climate change laid on vulnerable countries, and citing a group of American military officers who said global warming was a “threat multiplier for instability in volatile regions”. 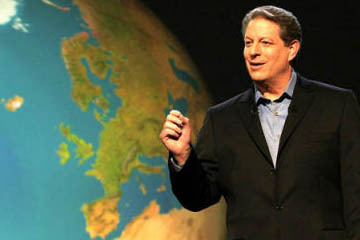 Al Gore was the individual who had done the most to bring global warming to the world’s attention with his 1992 book Earth in the Balance, which laid out a global Marshall plan to save the biosphere, and An Inconvenient Truth. In his lecture, Al Gore said it was time to make peace with the planet. 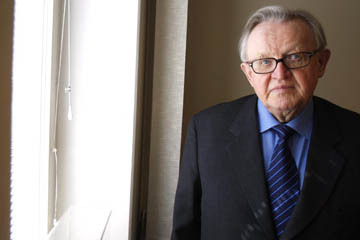 The Nobel Committee announced the 2008 recipient of the Peace Prize as Martti Ahtisaari for his important efforts to solve international conflicts. As a mediator, Ahtisaari sought solutions in Namibia, Indonesia, and Kosovo. He also made constructive contributions to the resolution of conflicts in Northern Ireland, in Central Asia, and on the Horn of Africa. More recently Ahtisaari, through his organization the Crisis Management Initiative, has tried to help find a peaceful conclusion to the problems in Iraq. Each of these Nobel Laureates continues to act to bring about peace in our world today. Their lives are a testimony to the power of real leadership in eradicating poverty, resolving conflict, standing for human rights and working together to make a safer world. These voices from around the world remind us that peace is not an antiquated notion, but a real possibility that requires certain qualities in our leaders. On November 4th, we can elect a president and vice president who will not govern through fear or widen the chasm between rich and poor; who will use restraint and respect diversity; who recognize the rights of all humans and will dialogue with integrity with other world leaders. When we fill in the oval next to our choice for President and Vice President of the United States, we can act boldly and decisively to elect leaders who will promote peace.